3 day door busters and a Spring Fling event! You are all invited to our latest event! We will be having a Spring Fling open house event on Thursday May 1, 2014. Bring your friends and family and enjoy a day and evening (we will be having extended hours) full of great sales! On Thursday May 1, Friday May 2, and Saturday May 3rd there will be DFC Door Busters! Each day there will be a different item on sale. Wondering what the door busters will be? Keep on reading…………. Thursday May 1, 2014 (the day of the open house) our DFC Door buster will be the awesome new Garden in a bag! The original price is $10.00 each DOOR BUSTER PRICE $5.00 Half Off!! The garden in a bag would be a great shower favor, a sweet prize for baby shower games, a nice house warming gift, gift for friends and even gifts for teachers! and hey, why not treat yourself with a nice garden in a bag? Each bag includes: seed, growing medium, coconut husks for drainage and directions. They are made in Idaho USA, organic, repurposed and earth friendly, just the way DFC likes it! We care about the earth and have the future in mind. store they have been a real hit! Friday May 2, 2014 the door buster will be our ParkHill Soy Wicker glass candles. Original price $25.00 DOOR BUSTER PRICE $12.50 one day only! These popular candles come in 3 aromas- Sweet tea, ParkHill and farmhouse! Who doesn’t love a great candle? They have lovely wicker around the glass and the appearance of these candles are gorgeous! A great gift for any occasion, leave them as they are or add a beautiful bow! My personal favorite aroma is Sweet tea! Saturday May 3, 2014 our Door Buster will be a double whammy! Both our Metal black AND antique cream lanterns will be 50% OFF! These lanterns are fabulous, they look great anywhere and everywhere! They look awesome on a fireplace mantle, down a head table at a wedding, or even as centerpieces at a party! They are made of metal so they can be used outside-great for hanging in a tree! Be sure to bring your friends and family out with you Thursday May 1, 2014 for our Spring Fling Open House event here at DFC! We will be open extended hours, until 7:00PM! We will have drinks and sweets for everyone to enjoy and lot’s of great sales! 2 new sales and a Save the Date!!! Today I’m writing this blog outside on my patio and I am totally enjoying this warm Spring time weather. Not to hot, not to cold…just right! I’m excited to share with you guys what we are putting on sale for the next two weeks. They are customer favorites and always a big hit! First up are our topiaries! We are putting ALL our topiaries on sale; large, small, table top, every single one of them are on sale NOW until May 3, 2014! We have all different size topiaries, small ones that fit on your table top, large ones that would make a bold statement at the entrance of your home and all sizes in-between! The small table top topiaries would look darling on the dining table for Mother’s day brunch, don’t you think? you could get some colored sheer ribbon and tie a cute bow on them! We love our spiral boxwood topiaries! They stand at 4 1/2 and 6′ and prices ranging from $140-$255. They look great adorning an entry way or even your mantle, and the best part…They never need to be watered! They can be dressed up for any time of the year by simply adding ribbon! 21 inch x 10 yard Geomesh is 50% OFF…yes you read right! 50% OFF!!! Geomesh is a great way to add texture, volume and color to anything and anywhere! It looks great made into wreaths, adds great texture and color to a staircase and great over a fireplace! As you can see we have a huge variety of colors! Geomesh is great for birthday parties, Mother’s day, dressing up tables and decorating for formal dances, pretty much anything you can think of! Both great sales will be going on for two weeks, and end on May 3, 2014! Make sure to “Like” us on Facebook! Easter is about 2 weeks away…are you ready? We have a great selection of Easter items to help you decorate and get your home ready for the big family Easter egg hunt and celebration! To help you all prepare, we are putting ALL Easter and bunnies on sale! Lapin shea butter soap and matching decorative soap dish make an excellent hostess gift Or buy it for yourself to decorate your bathroom and make your guest feel special! They don’t have to only be used for Easter, they would look great in your bathroom for the whole Spring season! These little bunnies are only 4″ tall and look great no matter where they sit. One of our friends found a soft miniature boxwood wreath to sit on to add to his comfort! Just so adorable! Add a touch of ribbon to coordinate with your easter celebration. Classic easter lilies! Just drop a handful in a vase and your set! Your friends and family will be amazed that they are not living- they look SO real! We have a few beautiful Easter displays here at Designer Flower Center, here are some of our favorites and a close up of the bunny and cabbage! Doesn’t that cabbage look amazing! Look at these great picks! The chocolate bunnies are a big hit! and the white rabbit would look great in your yard welcoming your guests! Need a few wreaths to decorate your home? 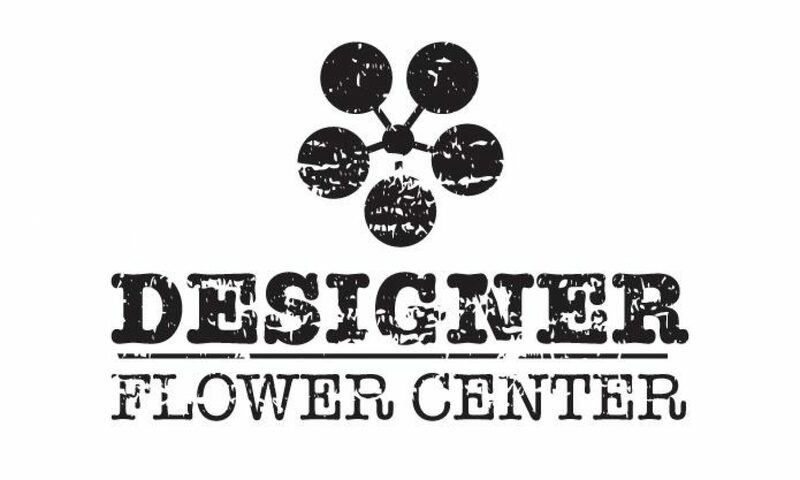 Designer Flower Center has you covered! We have a bunch of wreaths that will go with any celebration! Don’t forget, ALL Easter and bunnies are on sale NOW until April 19th!